A few days back Version started rolling out the Android 4.4 KitKat update for the Motorola Droid Mini, Droid Ultra and Droid Maxx smartphones only to pull it out a couple of days later. However, Verizon has now resumed its firmware upgrade that takes the trio to the latest version of Android. The new software for Droid Mini, Ultra and Maxx brings camera improvements and better power management. However, the overall visual interface remains largely similar to the Android 4.3 Jelly Bean operating system. Android 4.4 KitKat for the smartphone trio brings their users the ability to access the immersive mode and the update also adds Fitbit support along with a new version of Droid Zap. The new firmware squashes known bugs from the previous version and brings stability improvements to enhance the overall experience. 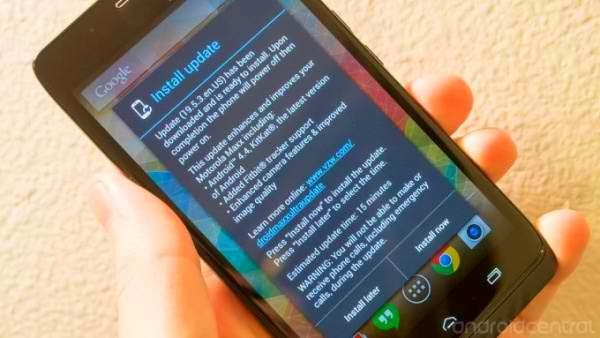 If you own a Motorola Droid Mini, Ultra or Maxx then you should get the software update notification any moment now.